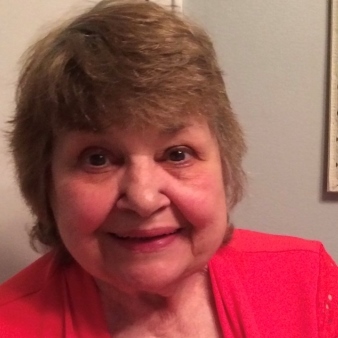 Rosemarie T. (Cangero) Peritore, 81, of Bristol, beloved wife of Joseph Peritore, passed away on Thursday, April 11, 2019 at Touchpoints at Farmington. Rosemarie was born on December 28, 1937 in Brooklyn, New York to the late Rocco and Theresa (Marciano) Cangero. There was nothing more important to Rosemarie than her family and she will be terribly missed. She enjoyed going to Foxwoods Casino, the beach, drinking coffee and eating her favorite food, seafood. Rosemarie loved her nursing career and her patients genuinely adored her. In addition to her husband of 64 years, Rosemarie is survived by her son: Joseph Peritore and his husband Chris Covell of New York; her two daughters: Gay Weber and her husband Robert of Florida, Donna Dubois and her husband Ronald of Plymouth; her sister: Janice Dimino and her husband Richard of California; six grandchildren: Paul, Lianne and her husband Bryan, Jonathan, Carinne and her husband Frank, Kristin and her husband David, Janine and her husband Jean; seven great grandchildren: Rocco, Nico, Jaxson, Maxwell, Nora, Paul Thomas, Brianne; and several nieces and nephews. In addition to her parents, Rosemarie is predeceased by her grandson: Brian. In lieu of flowers memorial donations may be made to the Alzheimer’s Association, 200 Executive Boulevard, Southington, CT 06489-1052. Please visit Rosemarie’s memorial web-site at www.FunkFuneralHome.com.